An excellent way to carry art with you. This piece features Queen Maeve one of the great female figures/myths of Ireland, she was named after the Celtic Goddess of Intoxication. Also known as: Queen Mab Mab, Mabh, Medb, Medhbh. You know those people you never read about in school? No doubt Queen Maeve is one of these people. 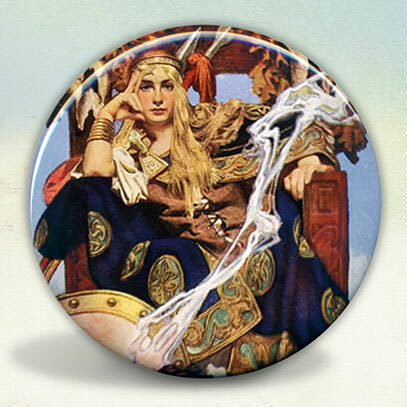 A complex figure from Irish mythology who dominated on the battlefield as well as legend has it, in the bedroom.